Rosacea is a condition in which the facial skin displays signs of facial redness, skin irritation, and red bumps called papules. The condition of the facial skin may be anything from oily to very dry. This is often the result of medications or treatment combinations used by the rosacea patient that has altered the physical condition of the skin. Rosacea can in some cases extend to include involvement of the eyes. Eye involvement of rosacea consists of a feeling of burning or pain in the eyes. The eyes may appear red or bloodshot. In some cases one reports the eyes are watery or teary in appearance, while others state their eyes feel very dry and gritty. The area of facial involvement usually occurs around the cheeks or the T-zone area of the face but can in some instances extend beyond the facial area to include the ears, the neck or even into the hairline along the scalp. A main concern in treating rosacea is the over treatment or over use of medications. Too much of a rosacea medication or the wrong medication for your rosacea symptoms can not only prolong your rosacea flare but can result in a worsening of your rosacea condition. The key is to treat but not over-treat your rosacea. 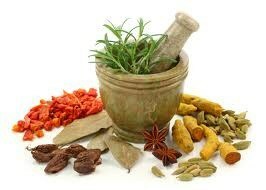 Apply all medications with a light touch, start with the lightest dose or application and add more only if needed. Keep in mind that when treating rosacea, if a little works, a lot may make your rosacea worse.